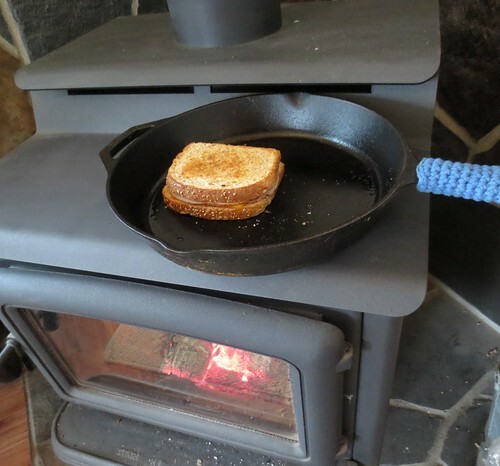 Here is one more tip for woodstove users. 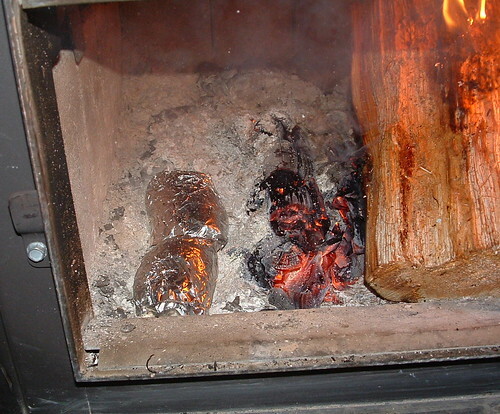 I needed to defrost some frozen food and recently used my woodstove. Here is a photo of my frozen container which I placed into a pan with water on the woodstove. My fire in the woodstove was burning low so I used the front lower level on the woodstove. 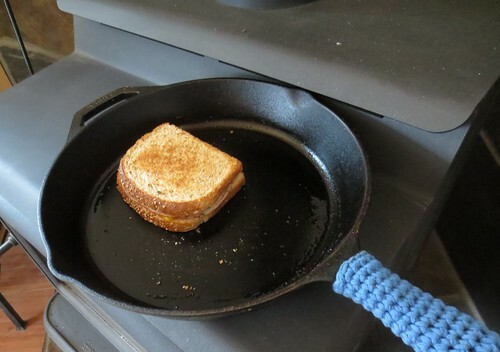 If your fire is burning hot, use the back shelf and watch your pan closely. As my frozen container was plastic, you do need to pay close attention that the plastic doesn’t get too hot. Watch your water too so it doesn’t boil down which could cause the plastic to get too hot also. I hope you find this useful idea of defrosting on a woodstove a good alternative to defrosting in a microwave or on a conventional stovetop. It sames energy and is a handy way to defrost food. Here is a frugal tip that I found works great to clean the glass on a woodstove. This is a natural and free way to clean your woodstove door glass. First make sure the glass is cold or at least just warm. Wet some newspaper and add some ash from your woodstove to the paper. Use the damp newspaper with the ash to wipe off the inside of the glass. The wood ash acts as effective paste to clean off the glass. If you have some stubborn soot buildup just continue to scrub with the paste until it comes off. It does make a bit of a mess on the glass and a lot of elbow grease if you have a hard soot buildup to clean off. Once you have the glass cleared of soot, let it dry. 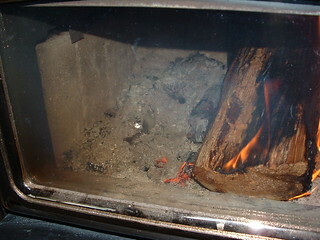 Then use a dry paper towel or rag to wipe off the glass for a final clean up of the woodstove door.